يقع فندق Sirens Bed and Breakfast في منطقة تتمتع بمعالم كثيرة، وتعتبر المكان الأنسب لاكتشاف هذه المدينة رائعة الجمال و ما يحيطها. يمكن من هنا للضيوف الاستمتاع بسهولة الوصول إلى كل ما تقدمه هذه المدينة النابضة بالحياة. يقع هذا الفندق الحديث على مسافة قريبة من المعالم السياحية الشهيرة. استمتع بالخدمات الراقية والضيافة التي لا مثيل لها بهذا الفندق في هذه المدينة رائعة الجمال. يقدم الفندق فرصة للاستمتاع بشريحة واسعة من الخدمات بما فيها: مدفأة, تسجيل وصول/تسجيل خروج خاص, خدمة سيارات الأجرة, تسجيل وصول/خروج سريع, تخزين الأمتعة . بالإضافة لهذا، تتضمن كل غرف الضيوف مجموعة واسعة من وسائل الراحة . بعض الغرف توفر حتى سجاد, رف للملابس, قهوة فورية مجانية, شاي مجاني, بياضات لإرضاء أكثر الضيوف تطلبًا. يقدم الفندق مجموعة واسعة من وسائل الراحة المتنوعة، كمثل: السهام المريشة, سبا, بلياردو, حديقة. إن Sirens Bed and Breakfast هو خيارك لخدمة الفنادق الراقية في المدينة. Difficult to find, but worth it. Loved our stay at sirens. We just so happened to have visited the Norman Lindsay gallery on the way up so it was a very pleasant surprise to have a house themed around the movie made about him. Sirens is full of antiques the owners have collected throughout the world. This place has a lot of character and is an eccentric little treasure just like the mountains itself. My boyfriend and I played dress ups and had a game of pool up in the attic after we had dinner out (location is great only a ten minute walk from the main drag in katomba). Paula was a lovely host and made us a big beautiful breakfast the next morning. House was super cosy and warm. Sirens is full of charm! If you're a stiff and sterile person this place isn't for you, Will be back again! On arrival we thought we perhaps had the wrong address. Shortly after that my wife was convinced it was haunted. The owner was away and left us a note telling us to make ourselves at home. This is a very tough review to write because I understand the owner's situation, or a little of it, but the fact of the matter is the place is just totally run down, the gardens haven't been touched in years, the kitchen is very, very dirty and the place really just so cluttered with things it would be an impossibility to keep it clean. On the bright side we actually had a very sound sleep in the comfortable bed. So whilst I'm trying to be kind and understanding of the owner's situation I really cannot recommend this place with a clear conscience. 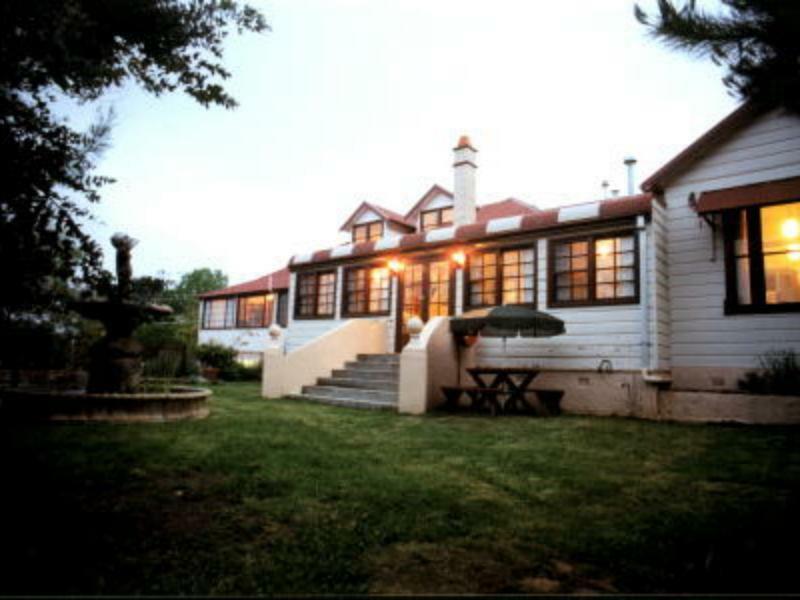 Location is within walking distance to the main centre of Katoomba. Good, hot shower. Ability to relax in several locations in the house, being the library, lounge or upstairs games room. We arrived on a day of adverse weather conditions, very cold and were looking forward to relaxing in front of the fire. The fire was not lit and the heating was off. Our host apologized, saying he had been out and forgot to put heating on. We sat in lounge with our books, but after an hour or so of freezing, we went into town instead. In the two days we were at Sirens, the fireplace was never lit, although there were promises of getting firewood....saying that, once the internal heating was up and running, the house was quite cosy (but I was looking forward to a real fire)! The house was very interesting, lots of treasures and quirky. Friendly host, OK breakfast, but the place really needs some TLC, especially a good clean. If you are not too fussy about dust and like to be surrounded by interesting 'stuff', then this is the place for you. We enjoyed our stay at Sirens. We thought that the old fashioned feel about the establishment was unique. It was a nice change for a sterile motel environment and had a lot of interesting characteristics. The furnishings and antiques that were in the house were a delight. We had a lovely stay at Sirens Bed and Breakfast. The room was clean and a good size with a small but tidy bathroom and a small little reading room off the bathroom. The Guesthouse has 3 common rooms which was a nice surprise, but disappointing that with 3C outside the working fireplace wasn't lit. This was something we were looking forward to on a weekend away and because it wasn't lit we didn't utilise the lovely loungeroom. Also on first appearance, the gardens are overgrown, especially out the front with the front porch not swept and washed down. Bird poo everywhere. Despite this, the place was cosy and we would return again. We had one night there. Apparently there were other guests but we didn't hear any noise. Great little ensuite and friendly host, but was a bit dusty and needs some maintenance/upkeep. We walked to town, just a good stroll! Unique, friendly , comfortable and safe. Enjoyed our stay very much. the owner and his daughter were very friendly and offered outstanding hospitality. The room was comfortable and loved the eclectic decor. Made the trip extra fun. Needs to be renovated both inside and out. Not very clean coz there're lots of collection and decorations everywhere. Got lots of good painting and the pool room is good. The spa was great, breakfast was fab and it is close to everything. What was disappointing was the heating in the place. The central heating was turned off overnight and temperatures dropped to below zero...it was not turned on until 7.00am the next morning...also the fireplace was not in use the whole weekend as the owner was worried that the house may burn down. There were no other heating options in our room so in the end we purchased a heater to use for the 2nd night. Bed, the breakfast and the interior fascinating. Enjoyable romantic and relaxing did not expect I would feel like I was in a by gone era. We had a nice stay at Sirens. Welcoming owners, great breakfast in nice company (other guests) around the family dining table. We liked it because of it's personality with all the antiques, etc. around (you'll find out quickly about the name...:-)). The friendliness of the host, closeness to all the sites and restaurants and a great personal service. We had a lovely time and Paula our host made sure that everyone felt welcome. Nice quiet, good location. 1900's charm. Nice and romantic rooms, the spa room has enough space and privacy for a couple. 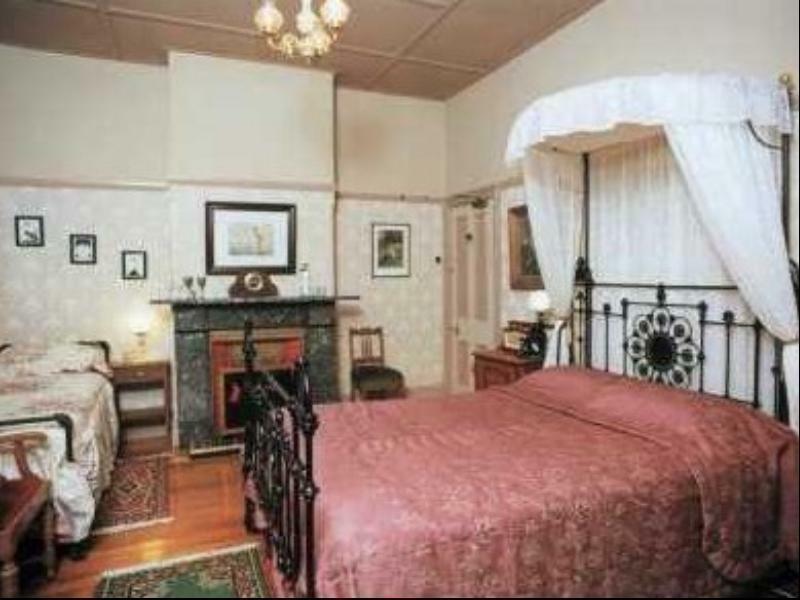 I loved staying at this B and B. I was in the Blue Mountains Racing The North Face 100km. The hotel staff were so friendly and accommodating. I loved the artwork around the hotel. The rooms were decorated so beautifully with prints from the 18th and 19th century. Sirens Bed and Breakfast has it's own charm and character. The hotel was close enough to the shops and restaurants, I drove to the shops as I was pressed for time. I recommend the BnB to anyone who is racing or Training for TNF100. The spa is perfect for your recovery.